General Motors says production is set to begin late next year on a luxury version of its Chevrolet Volt hybrid. 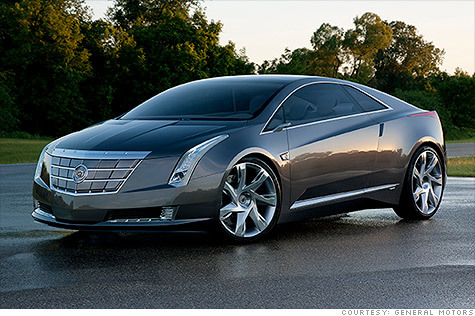 The automaker said Tuesday the Cadillac ELR will be assembled at the Detroit-Hamtramck Assembly plant. That plant makes the Chevrolet Volt, Opel Ampera and Holden Volt. The Cadillac will run on electricity and carry a four-cylinder gasoline engine to generate power when the batteries run out of juice. It's based on the Cadillac Converj, a concept car unveiled in 2009 at the Detroit auto show. GM North America President Mark Reuss said in a statement that the car is "further proof of our commitment to electric vehicles and advanced technology." The company will invest $35 million at the plant, which hasn't produced a two-door car since the 1999 Cadillac Eldorado.